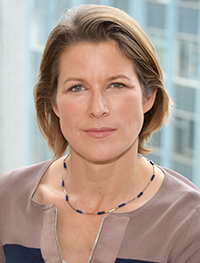 Leading economics journalist Stephanie Flanders will deliver the 2017 SPERI Annual Lecture at the University of Sheffield tomorrow (Tuesday 26 September 2017). The prestigious SPERI Annual Lecture has previously been delivered by former Labour leader Ed Miliband, ITV News Political Editor Robert Peston, Guardian journalist George Monbiot, Lord Robert Skidelsky and, most recently in November 2016, the Scottish First Minister, Nicola Sturgeon. “Stephanie Flanders is one of Britain’s most high-profile and distinguished economic journalists. The worlds of finance and big business often seem remote to most people but Stephanie is an expert at communicating economic news and connecting it to everyday life. Stephanie Flanders was the BBC Economics Editor from 2008 to 2013, where her analysis and on-air commentary were widely respected and broadcast around the world. Prior to joining the BBC in 2002, she worked as a reporter at the New York Times and a speechwriter and senior advisor to US Treasury Secretaries Robert Rubin and Lawrence Summers in the second Clinton Administration, when she was closely involved in the management of the 1997-8 emerging market financial crises. She has also been a Financial Times leader-writer and columnist, and an economist at the Institute for Fiscal Studies and the London Business School. She was a scholar at Balliol College, University of Oxford, where she obtained a first class degree, and attended Harvard University as a Kennedy Scholar at the Kennedy School of Government. In October 2017 Stephanie will return to journalism when she leaves J.P. Morgan to lead a new economics desk at Bloomberg in New York. Her talk will be followed by a Q&A session. Follow the debate on twitter through the #SPERIFlanders hashtag.